A committee led by Robert H. Campbell, chair of Pew’s board of directors, is currently planning a search that is expected to launch in the early summer. Once a new CEO is named, Rimel will transition into a senior adviser role for the organization. “The board of directors and I are grateful for Rebecca’s many contributions to The Pew Charitable Trusts,” Campbell said. 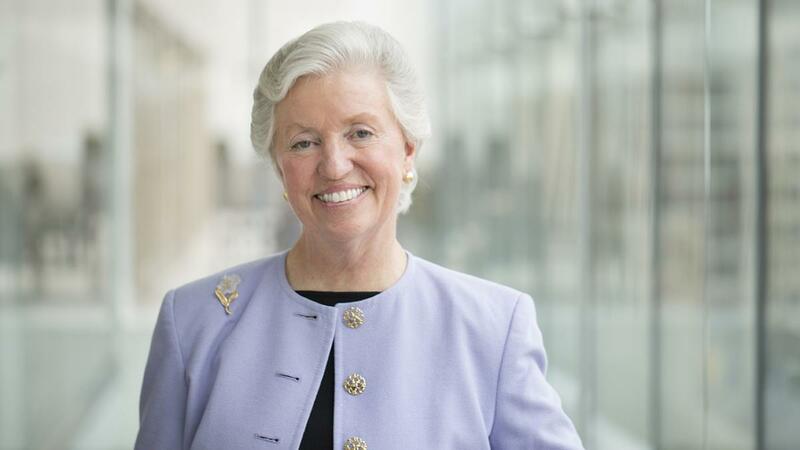 “Her personal dedication to the mission and values of the organization have been an inspiration to thousands of employees both past and present, allowing the Trusts to change and grow while staying true to the philosophy of its founders. Founded in 1948, The Pew Charitable Trusts focuses on serving the public, invigorating civic life, conducting nonpartisan research, advancing effective public policies and practices, and achieving tangible results. The Pew Research Center, a subsidiary of The Pew Charitable Trusts, conducts research about the issues, attitudes, and trends shaping America and the world. In Philadelphia, a range of initiatives provide research and analysis to help the city’s citizens and leaders understand and address key issues; support the cultural community, in large part through the efforts of the Pew Center for Arts and Heritage; and assist some of the most vulnerable local residents. As a public charity, Pew partners with a diverse range of donors, public and private organizations, and concerned citizens who share its commitment to data-driven solutions and goal-based investments to improve the public good. The Pew Memorial Foundation, which later became a trust, was created by four generous and civic-minded siblings—J. Howard Pew, Mary Ethel Pew, J.N. Pew Jr., and Mabel Pew Myrin—to honor their father, Sun Oil Co. founder Joseph Newton Pew Sr., and his wife, Mary. Between 1957 and 1979, six other trusts were created, representing the diverse and complementary philanthropic interests of the four founders. Inspired by their interest in research, practical knowledge, and a robust democracy, The Pew Charitable Trusts’ work now includes public opinion and social science research; arts and culture; and conservation, health, state, and consumer policy initiatives.